In a lot of American buildings, there is no 13th floor. It's bad luck! At least once (but as many as three times) a year, Friday the 13th appears on the Gregorian calendar. Traditionally this is supposed to be a day of bad luck, but just where that superstition comes from isn’t quite clear. One popular belief is that it dates to Friday, October 13, 1307. Legend has it that King Philip VI of France gave an order that a number of the Knights Templar were to be arrested on this date. The arrests were supposed to occur simultaneously, to prevent them from resisting. King Philip did indeed do this, but the association of that date with this act was not noticed until the early 20th century, so it’s unlikely there’s a connection. Another theory is that the Last Supper had thirteen people in attendance, and according to Biblical accounts, it was one of the thirteen (Judas) who betrayed Christ, who was arrested and crucified by the Romans the next day, which was Good Friday. This connection is tenuous at best, and also doesn’t appear in any historical records before the 19th century. The Friday the 13th superstition might have been borrowed from the Greeks, who believe that Tuesday the 13th is an unlucky day. This might date to Tuesday, April 13, 1204, which was the day European Crusaders sacked the Greek city of Constantinople during the Fourth Crusade. For Greeks, Tuesday is in general considered to be an unlucky day, since in astrology, it is dominated by Ares, the god of war. Thirteen is considered to be unlucky in a number of cultures, in fact. 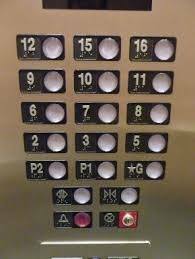 Often tall buildings, when numbering their floors, will skip the thirteenth floor, fearing the bad luck that such a floor will bring. Mayan superstition also sees thirteen as a harbinger of doom, since the ancient Mayans believed the world would end after the thirteenth baktun. (A baktun is a cycle of 144,000 days, or about 394½ years.) The end of the thirteenth Mayan baktun occurred on December 21, 2012, which is why so many people talked about the world ending on that date a few years ago. Most European cultures consider thirteen to be an unlucky number, but not all. In Italy, 13 is considered a lucky number. The day to be dreaded there is Friday the 17th. This might come from the fact that the Roman numeral 17, written as XVII, is an anagram of VIXI, the Latin word for lived, which appears on old tombstones. In fact, associations with death, no matter how incidental, seem to affect how a culture will look at a number. In Chinese, the number 4 is looked at as unlucky, since the Chinese word for 4 sounds very similar to the Chinese word for death. Buildings with four or more floors in China will often skip 4 and go right on to 5 when numbering the floors, just like how Western high-rises will skip the 13th floor. The Chinese take it further, though. They’ll also skip the 14th floor, the 24th floor and the 34th floor, as well as floors 40-49. They will allow a 54th floor, however, since the Chinese word for 5 sounds similar to the Chinese word for not, so it comes across as “not death”, which makes it okay. After that, they’ll go on skipping the 64th floor, the 74th floor, etc. Chinese elevator buttons. Where's the fourth floor? In Japanese, the word for 9 sounds similar to the word for torture. It’s because of this association that airlines and hospitals will often avoid referring to the number 9 at all, lest it bring anyone bad luck. In the United States, the number 191 has unlucky associations. If you’re an American and you’ve never heard this, that’s probably because you don’t work for the airlines. Between 1972 and 2006, there have been four different crashes for flights numbered 191, which is highly unusual. It’s unlikely there will be a fifth in the United States, since most major airlines have discontinued using 191 as a flight number for this very reason. In Bulgaria, there’s a famous unlucky phone number. From the 1990s to the 2000s, every customer who was assigned the number 0888 888 888 has died, giving the number a reputation as “cursed”. The deaths were all premature and often violent, which only enhanced the number’s mystique. The Bulgarian cell phone company Mobitel, which owns the number, will not comment on it, citing a policy of never commenting on any number. However, if you do call it, you get a message stating that 0888 888 888 is “outside network coverage”, so perhaps the company is too spooked to assign it again. It’s probably best not to—it’s bad business to have your customers die on you! Why Do Radio Stations Start with K or W?